I received my Diploma degree (M.Sc. 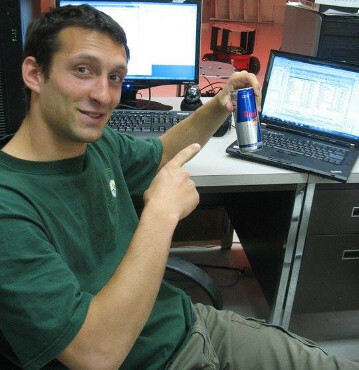 )in Electrical Engineering, with a major in Control Systems, at the Faculty of Electrical Engineering and Computing, University of Zagreb in 2005. In 2013 I defended my Ph.D. dissertation on the topic of formation control of autonomous vehicles at the same institution, as a member of the LARICS laboratory. I have been a Fulbright visiting researcher with the MARHES group at the University of New Mexico, USA in 2009. Currently I am a Postdoctoral researcher with the ArsControl group at the University of Modena and Reggio Emilia. My main research interests are in the field of navigation, control and coordination of mobile robots. My current focus is on the application of state of the art solutions for mobile robot navigation to material handling scenarios in manufacturing and logistics, in close collaboration with industrial partners. My other research interests include human-robot interaction in the context of socially assistive robotics and collective bio-hybrid systems. Above all, I am interested in robotics applications founded in solid theory and in theory that works. I have participated as a researcher in three projects funded within the EU FP7 framework, as well as several nationally funded projects and industrial cooperations. In 2016 I was awarded a research grant by the Croatian Agency for SMEs and Investments for a Proof of Concept project aimed at developing a commercially viable localization system for autonomous forklifts, relying only on natural features of the environment. In addition to professional activities, I enjoy robotics popularization and educational activities. I have organized a number of lectures and workshops on robotics for elementary and high school students, as well as a week-long robotics summer course at the Science and Education Center in Višnjan, Croatia. ROBOT 2017: Third Iberian Robotics Conference, Springer International Publishing, 2017. PLOS ONE, 12 (8), pp. e0181977, 2017. Proceedings of the Companion of the 2017 ACM/IEEE International Conference on Human-Robot Interaction, HRI '17 ACM, Vienna, Austria, 2017, ISBN: 978-1-4503-4885-0. Robotics and Computer-Integrated Manufacturing, 42 , pp. 1–16, 2016, ISSN: 0736-5845. IEEE Transactions on Automation Science and Engineering, 13 (4), pp. 1433–1447, 2016, ISSN: 1545-5955. XI Autism-Europe International Congress, 2016. Fifth Croatian Computer Vision Workshop (CCVW 2016), 2016. Robotics and Automation (ICRA), 2015 IEEE International Conference on, IEEE 2015, ISSN: 1050-4729. 2015 IEEE Sensors Applications Symposium (SAS), IEEE 2015. 29th Eurpean Simulation and Modelling Conference-ESM 2015, 2015, ISBN: 978-907738190-8. Intelligent Robotics and Applications: 8th International Conference, ICIRA 2015, Springer International Publishing 2015, ISBN: 978-3-319-22876-1. Global Humanitarian Technology Conference (GHTC), 2014 IEEE, IEEE 2014. Control & Automation (MED), 2013 21st Mediterranean Conference on, IEEE 2013. Proceedings of Biomimetic and Biohybrid Systems: Second International Conference, Living Machines 2013, Springer Berlin Heidelberg, Berlin, Heidelberg, 2013, ISBN: 978-3-642-39802-5. Control & Automation (MED), 2012 20th Mediterranean Conference on, IEEE 2012. Robotics and Automation (ICRA), 2012 IEEE International Conference on, IEEE 2012, ISSN: 1050-4729. European journal of control, 18 (2), pp. 162–181, 2012, ISSN: 0947-3580.